Your Task: To discover who the Plains Indians were, where they lived, what their lives were like, the differences between various groups and the effect of contact with European settlers on their lives both individually and collectively. You will write the information in a word document, or powerpoint, or in your exercise books. You may work in pairs as long as you both have the information written down. If using a computer you must save your work on a USB at the end of the lesson. Include maps and illustrations where appropriate as long as they are referenced in the text or correctly labelled. 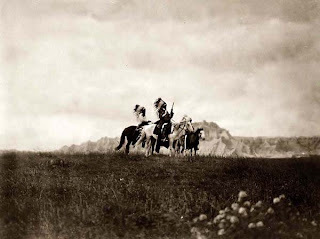 Begin in general terms but move towards a specific group of Plains Indians. You may also research your own websites.